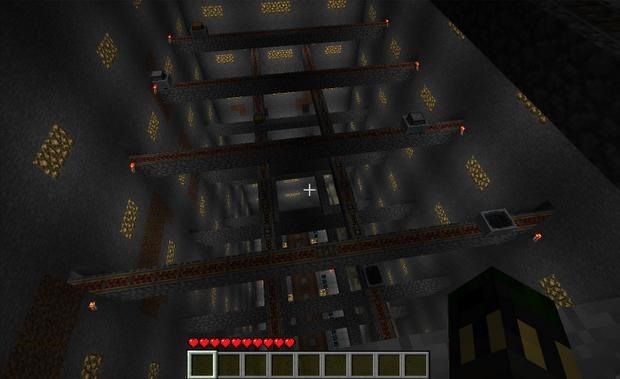 So you have a deep mine, an epic home, a bountiful farm, and mob traps galore, but have you ever considered linking them together into one cohesive unit? With the use of a minecart train station you can turn your disjointed Minecraft manor into a well oiled machine and cut travel times in half. 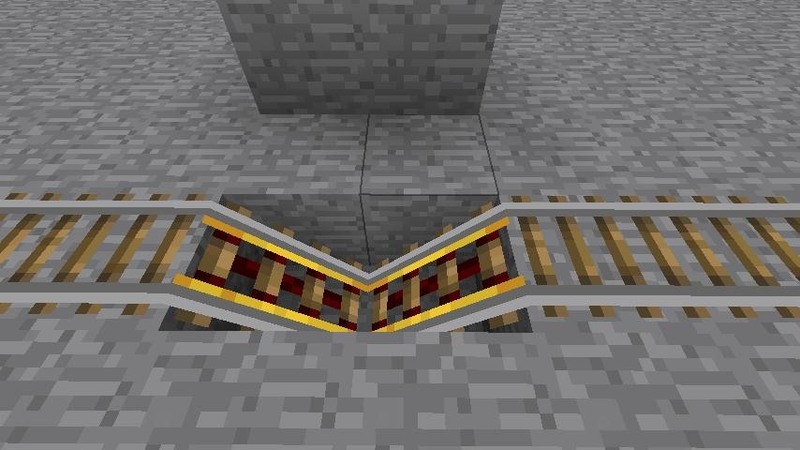 There are two variations of Minecraft train stations we will go over in this guide. One of the stations runs continuously and the other only runs on command. The implementation of either depends on your specific needs. (1) Begin your train station by connecting your places of interest with rails. This can be your house, mob traps, mines or really anything. Be sure to use plenty of detector rails and powered rails, no more than every 7 units of regular track to keep your carts traveling at optimal speed. 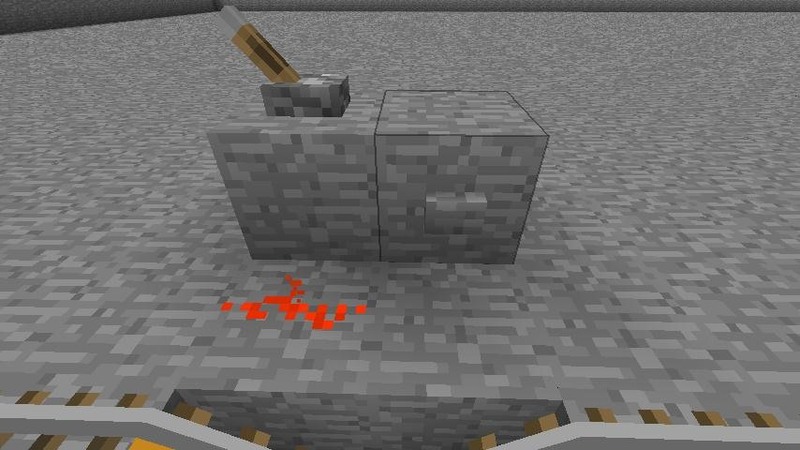 (2) If you are going to operate your minecarts manually, you'll need a place is two blocks stacked on top of each other with a button on the top. 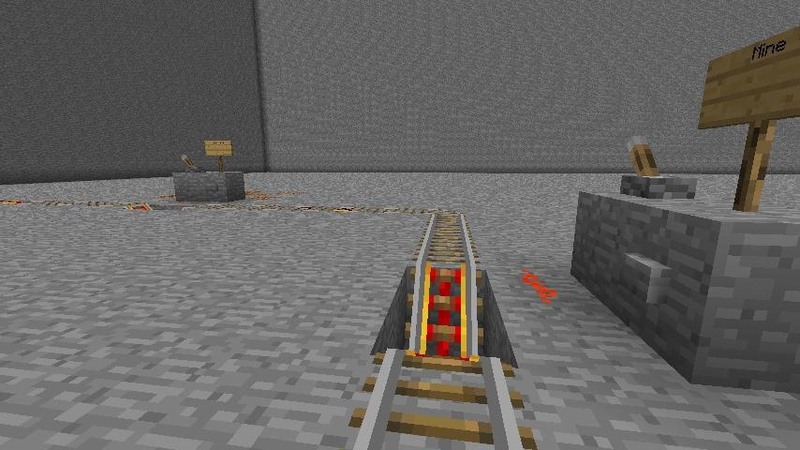 Powered rails are placed in front of it and a minecart on top. (1) Decide where you want your minecarts to stop, if you want them to stop at all. Remove two blocks from underneath your track. Next, place two powered rails in the empty space as seen above. (2) Place two blocks behind the stop location, one block from the powered rails. 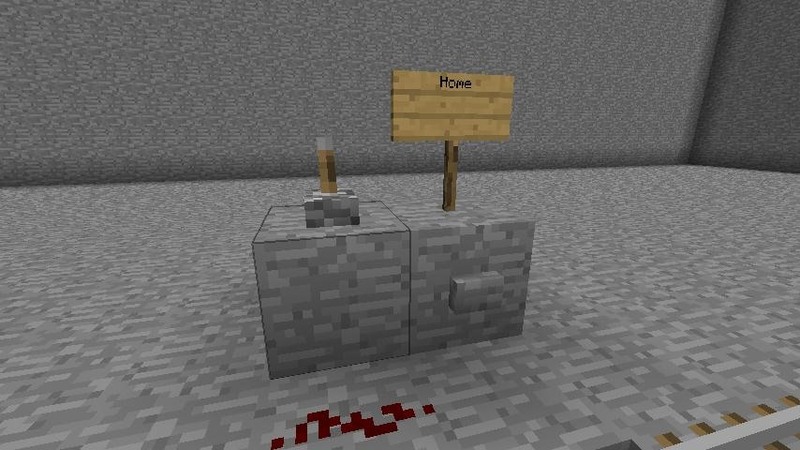 On the front of the right block place a stone button, and on the top of the left block place a lever. 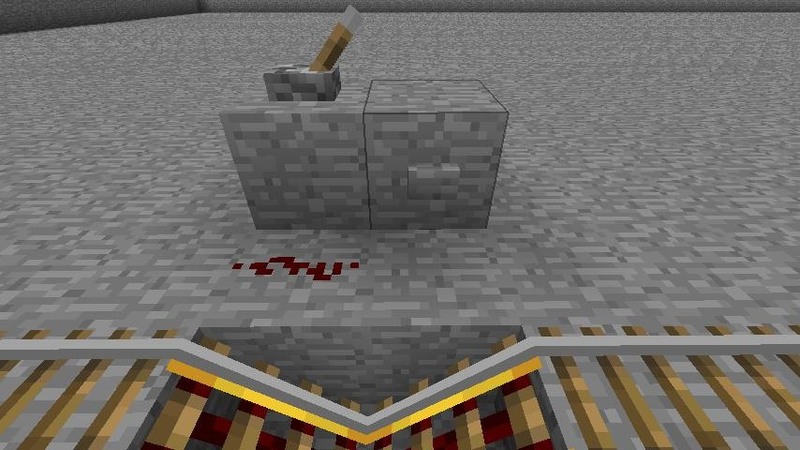 Finally place a redstone wire in front of the block with the lever on it as seen above. 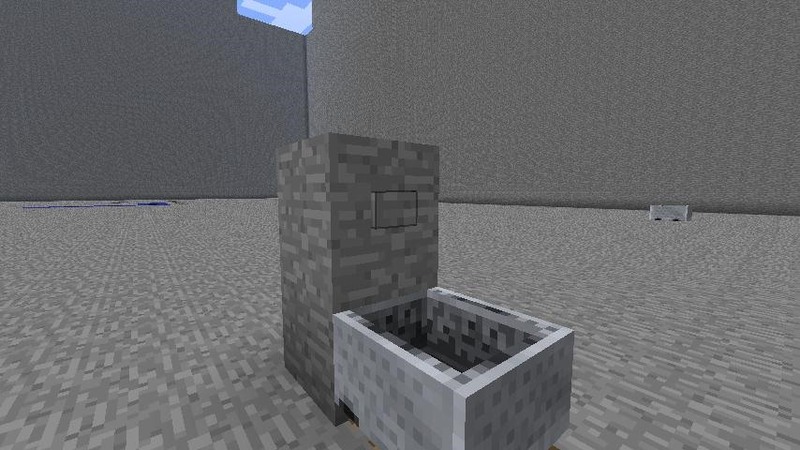 , (3) This is where your minecart will come to a complete halt. However, if you wish to keep your cart going or you wish for it to not turn at all you can press the lever and the powered rails at that stop will activate. This way you can either jump out of the cart in time to reach your destination, or make stops as you wish. (4) Here a traveling minecart has halted at a station. (5) If you wish, you can add a sign at each station. (1) Once you have completed your train stations, try it out! Here I am riding along from the stop marked "Mine". (2) In this continous variation of the train I have three minecart stations set up on my minecart rails. 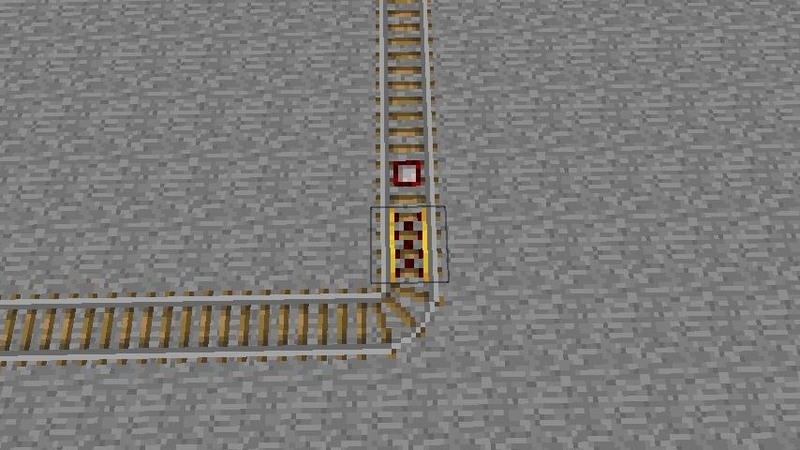 Optionally connecting your rails in a loop will cause the carts to not stop at all. This can be particularly useful if you have very long tracks that you do not wish to muddle up with jams and problems along the way. 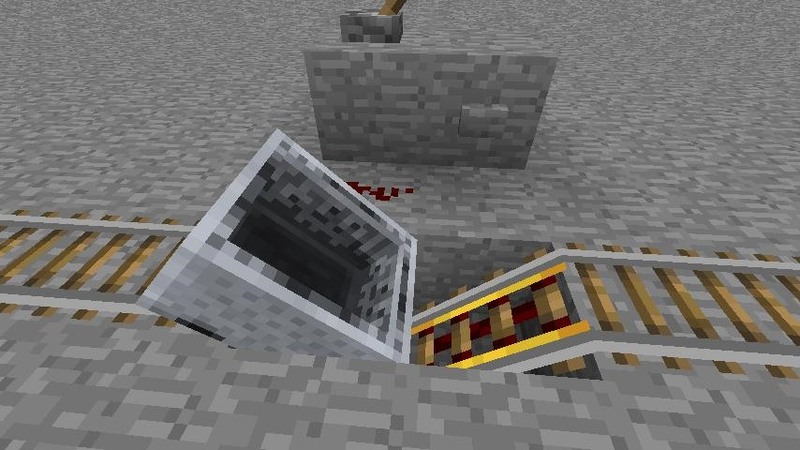 (3) An additional advantage to the continual track is that even when minecarts bunch up (as seen above) they will almost always push each other out of the way and along the track. If you have automatic stops at any of your stations, this will not happen. 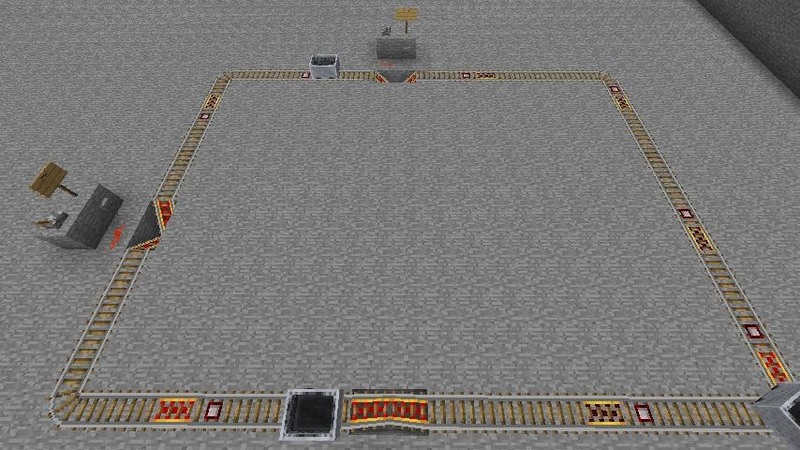 (4) Don't be fooled by the simplicity of my example, minecart train stations can be extremely large and as complicated as the destinations your carts travel to. 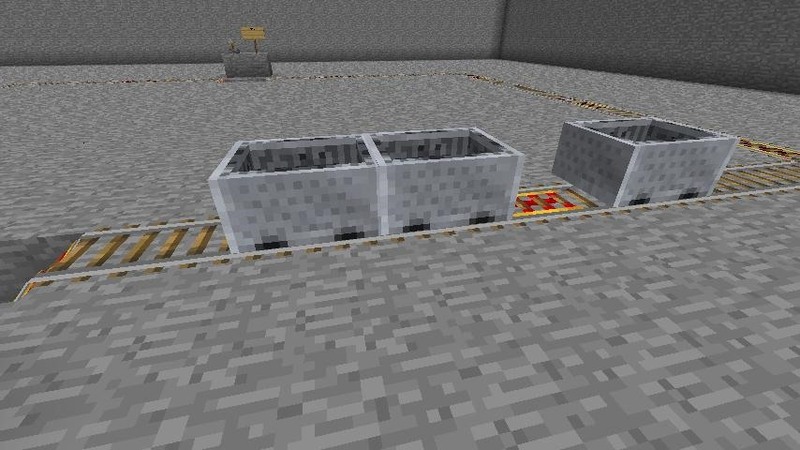 I hope you find you can simplify your travels and optimize your labor with the minecart train station. If you have any request for future tutorials or questions on this one, let us know in the comment section below! I love minecraft!It is so cool.REPLY!